This entry was posted in Greenland, Greenland - Everyday Life and tagged Arctic, city names in Greenland, Greenland, greenland language, Greenlandic, Greenlandic language, Language in Greenland, town names in Greenland, travel, village names in Greenland by polarphile. Bookmark the permalink. Fascinating. Thank you for sharing. Welsh and English place names are often about the physical features too, but in England you need to know the older languages used. Clare – Thank you for your comment. I have also heard about Welsh! It is supposed to be similar to Greenlandic in terms of structure. “Poly-synthetic” it’s called. Yes- as in Llanfairpwllgwyngyllgogerychwyrndrobwllllantysiliogogogoch- but that was a publicity stunt, deliberately to get a long place name. Can I ask you a favour? Would you visit my blog? There is the stats map almost coloured in, with Greenland still white. It would give me huge pleasure to have a visitor from Greenland. 55000 people! Someone’s got to visit eventually! Want to know the origin of the name Qaanaaq. Also want to know if Danish was spoken in the Thule area in the 1940s or early 1950s? Thank you for the readership and for the questions! I will preface my answer with this: you must not take my reply as 100% true fact! 🙂 I am not certain of the answer to either of your questions, but I CAN use some evidence and background knowledge of what I do know to give you a pretty good starting point. According to the language secretariat for Greenland, Qaanaaq is only a place name and has no literal meaning. What is very interesting, however, is this: if you flip the two syllables, the word looks like “naaqqaaq” which the secretariat translates as “a new outcrop”. Now maybe this is totally a coincidence, but it is, in fact, quite fitting! The town of Qaanaaq as we know it today is NOT located at its original location as decided by Inuit. Inuit originally created Pituffik (which means “a place to tie something”, such as a dock for a boat or a peg for a dog), but when the Americans built Thule Air Base in mid-century, they relocated the Inuit to what is now Qaanaaq. As homage to the Inuit community they uprooted, the name Pituffik is maintained for the airport at Thule Air Base. As for the language spoken, I will take a very educated guess and say there was NO Danish up there at that time (and still today). In fact, Avannaarmiutut (translates literally to: the language of the people that live in the far north) is colloquially considered a separate language from West Greenland and East Greenlandic, though officially it is listed only as a dialect of West Greenlandic. Returning again to the fact that Americans created and controlled Thule Air Base, and still do today, I would say that English might actually be more likely as the secondary language up there – although surely only by those directly related to the base. Thank you for your reply. Very interesting. Can I assume that Qaanaaq is an Inuit word and not a Danish word? Inuit appears to commonly use aa in names (and words?) whereas Danish does not appear to do so (though I may be wrong there!). Can’t help feeling it’s the middle if the night there, whereas it is lunchtime in Australia. Shouldn’t you be tucked up tight in an igloo or somewhere equally warm? As it is summer here and very bright daylight, I assume it is a cold, dark night there. No midnight sun at this time of year. Keep warm and sleep well. Merry Christmas and have a great year in 2016. Maria, well in fact I’m in USA right now, but you’re right – definitely no midnight sun at this time of year. Come in summertime for that! 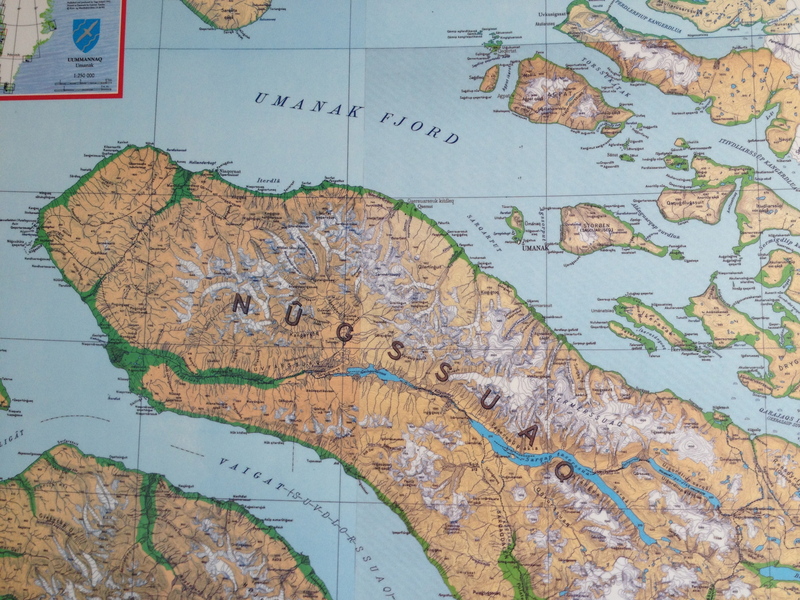 Hey guess what – there are no igloos in Greenland! Well, I take that back – there are a few aluminum ones at Hotel Arctic, but they’re just for fun. PS – There’s an Australian in our office and she keeps a right good blog about Greenland, too. Check her out – http://www.thefourthcontinent.com. Take care, and maybe we’ll see each other in Greenland one day!